My jaw dropped when Etsy reached out to me last year introducing their new project, Etsy Studio. Not only is it a genius idea to bring projects to the customers of Etsy to make with supplies bought from Etsy Sellers, but I was floored I got to join to of my favorite passions: DIY projects and Etsy! If you haven't checked out Etsy Studio yet, it is a hub to find craft supplies and unique projects. I am so excited to go through allll the craft supplies for future projects. These aren't just supplies you can find at Michaels or Hobby Lobby. They are from distributors all over the world that make techniques like block printing, indigo dying and beautiful fabrics available to everyone. We brainstormed some ideas together and I got to give block printing from beautiful wood carved stamps a shot. I love the look of traditional block printing on perfectly wrinkled linen, so it was a fun project to work on. My favorite part is all of the supplies were found right on Etsy from different sellers around the world! 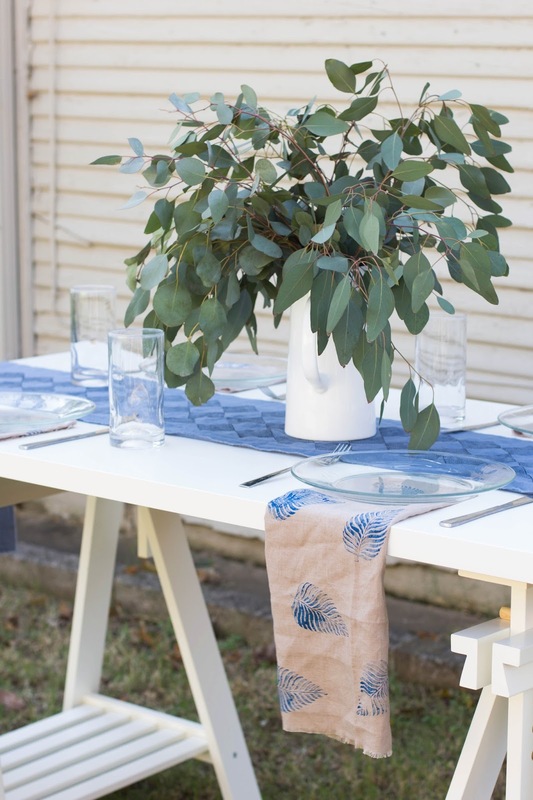 Head over to Etsy Studio to learn how to make a table runner and 5 things to block print this weekend.